People love their dogs, and dogs certainly return the favor. There are even those who swear that having a dog just improves their lives. If you’re on the fence about purchasing one, here are the great reasons it’s an easy investment. Dogs have been a part of history for centuries. They’re loyal to a fault and naturally smart—take, for example, how there are professional trainings for dogs in many place like Utah. It’s no wonder they’re the most popular pet in the world. Dog ownership has gone up because people are starting to be in the know about how amazing these animals are. If you still need convincing that dog ownership is the best, then here you go. Studies have found that just about half an hour with your dog has been associated with feelings of calm, relaxation, and happiness. In terms of a physiological reaction, having a dog increases your brain’s levels of dopamine and serotonin. These neurotransmitters are most closely associated with both tranquility and pleasure. There’s something about their vibrancy and vigor that just easily rubs off on people and brightens their day. It isn’t just the brain that benefits from having your prized pooch around. The release of those chemicals in your body has a potent effect on your heart as well. It can lower your blood pressure to simply talk to and pet your dog. In turn, this means that you have lowered risks for many other different heart conditions. This has been shown across a wide range of ages and cultures—so, get to petting! Have you ever tried to get a cat to do anything? It’s near impossible if they aren’t inclined towards the task. Put a dog through some training, and they’ll diligently obey and keep themselves disciplined all their lives. This has partly to do with the deep sense of loyalty to their owners. Establishing yourself as the “alpha of the pack” will make any “doggos” the perfect house pets as a result. 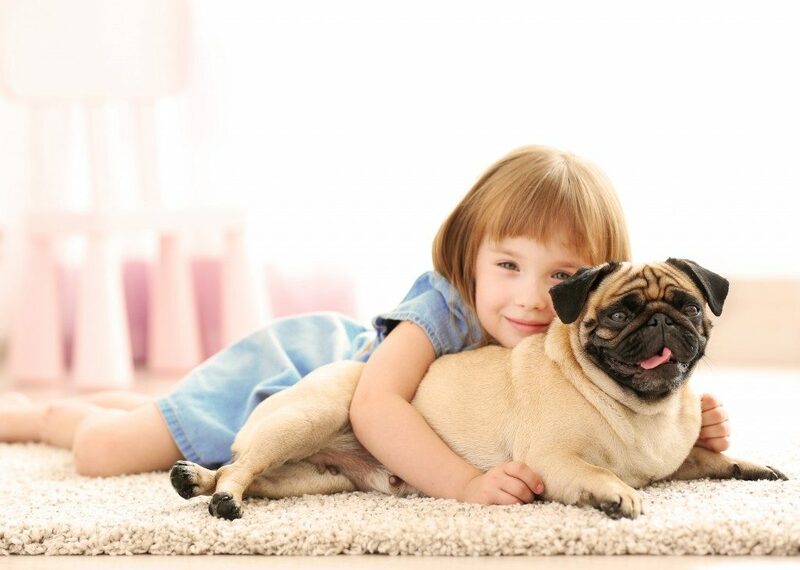 Surprisingly, there are recent findings that kids born into homes with dogs have lower risk of developing allergies, asthma, or any number of pulmonary illnesses. Studies associate this with the development of altered microbes in the gut that results from the presence of dogs. This means that with a dog in the house, your child is likely to be healthier overall. With many people in the world struggling with obesity, it is all the more critical that people stay active to be healthy. A study by the Michigan State University has found that 60 percent of dog owners who regularly walked their pets were able to eke out regular moderate or vigorous exercise. In fact, this effect was particularly prominent among the senior population, who’d been found to be more physically fit overall. For many reasons such as these, owning a dog is a great idea. This is especially true if you get one as a puppy and raise them to adulthood. What you end up with is a loyal friend and partner for life, and with training, a sentry with the ability to perform amazing rescues. If you don’t have one yet, consider the idea, especially if you want to fill your life with unconditional love.